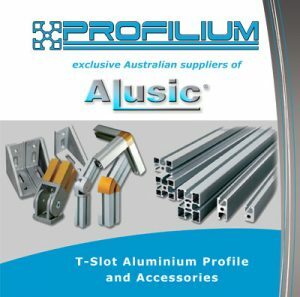 Aluminium profile is also lightweight, strong and doesn't need welding which means it won't distort and you don't need a hot works permit to make modifications on site. Speaking of modifications, the nature of the t-slot profile allows you to modify the machine guard, for example if you extend a machine, conveyor line or robot cell. We can design and supply OEM and Integrator Customers with a customised safety fence to suit your machinery cell or robotics cell. We offer sharp pricing for repeat business and we're always happy to discuss fair and reasonable payment terms. Contact us for more information. As all Business Owners and Managers know, safety panels are now mandatory for most industrial machinery applications as either a machine guard to prevent personnel accidentally inserting their hand or limbs into a pinch point or cutting area; or to provide zoned safety fencing around a machinery cell. Aluminium profile is the most common material used to provide these mesh or polycarb safety panels, however there has always been a problem in removing these panels to undertake routine maintenance or cleaning. 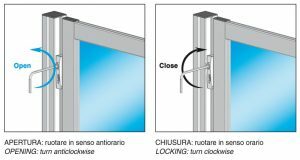 We have a solution – Australis can offer a revolutionary new quick release closure system for the rapid access and removal of aluminium profile safety panels. Patented Quick Release Panels Enter the patented Alusic quick release system! The Alusic safety release system is an innovative safety catch that allows for the rapid and safe removal of aluminium profile safety panels surrounding your machines or safety cells.